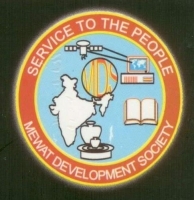 Our mission is to help minimize the social, cultural, political and economic plight of Mewat region. We believe that people’s participation is key to progress. Our projects focus on community-led local development to aid grassroots development in this region. © 2017, Mewat Development Society. All Rights Reserved. Registered under the Societies Act.